Let’s get into Afro beats! Traditional djembe rhythms of West-Africa are introduced with MP3 files. We hope this website will help you get into the traditional rhythms more. In West Africa, traditional music is still performed at various times, such as ceremonial functions, festivals and so on. 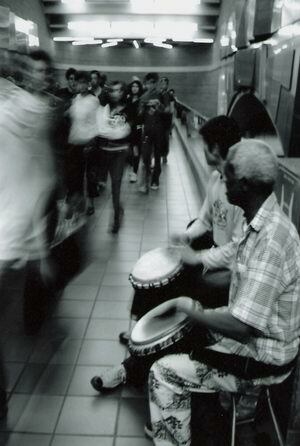 In urban area, however, music arranged by dance and percussion groups prevails. Therefore, these rhythms are often different from traditional rhythms performed in rural villages. We have to be careful about this point. Many years have passed since a lot of djembe rhythms were created. It seems that the rhythms changed while they were brought down from generation to generation and it’s still going on now. The rhythms introduced on this website are just an example. There may be many other variations. Get Balakulandjan solo practice kit by sign-up!